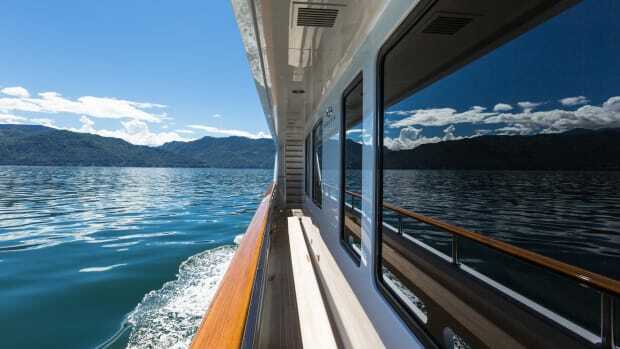 Just 10 years ago, the world economy plunged into the worst economic crisis since the Great Depression. 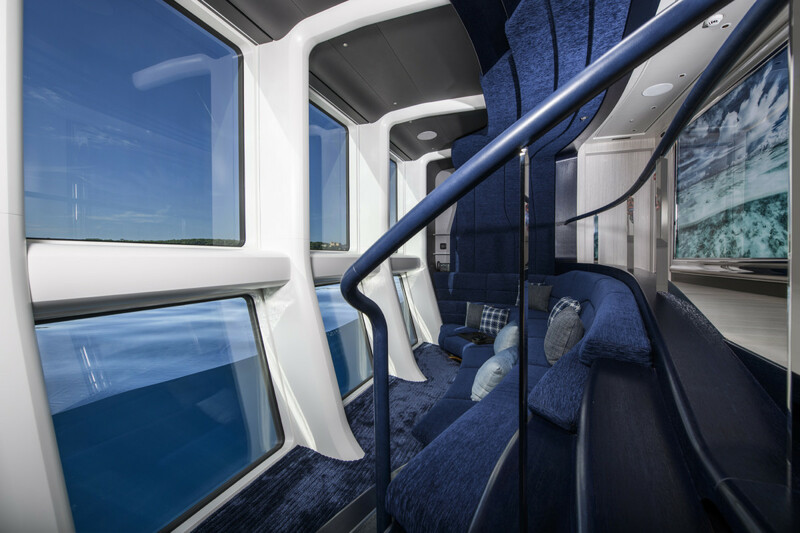 While builders are not producing the number of new builds that they were 11 years ago, design and technology have advanced significantly. 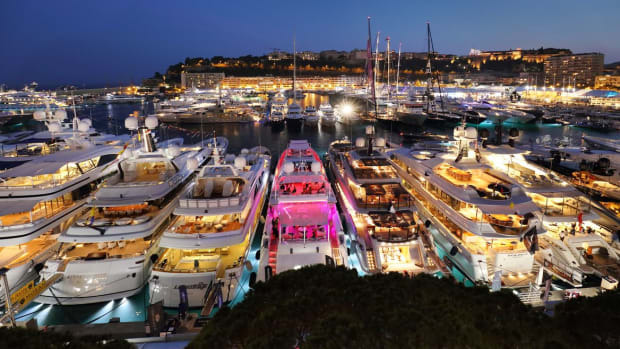 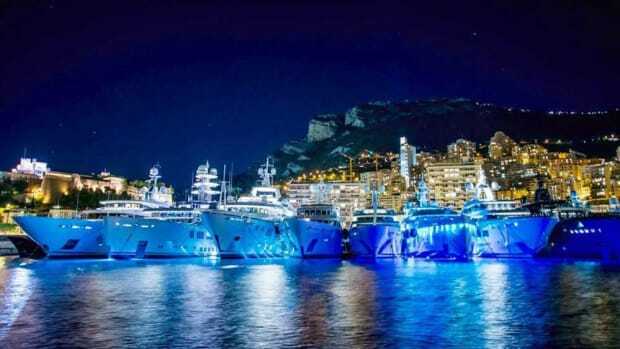 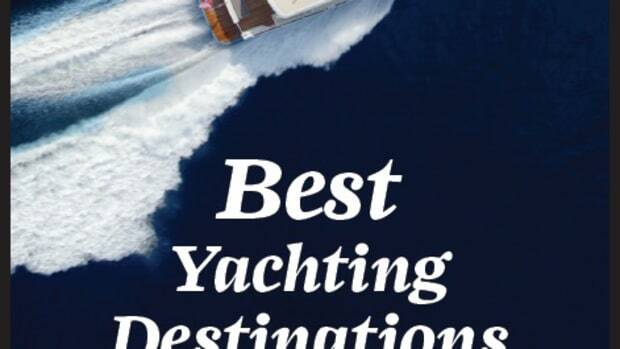 In 2018, the editors of Yachts International attended the most prestigious yacht shows in the world and visited numerous shipyards to see the latest launches. 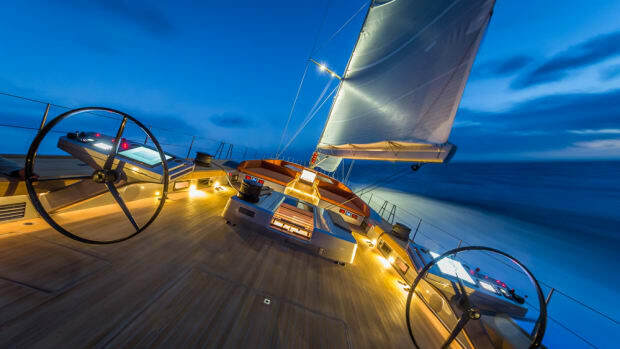 The following are our picks of the year’s best builds, finest designs and most impressive technology. 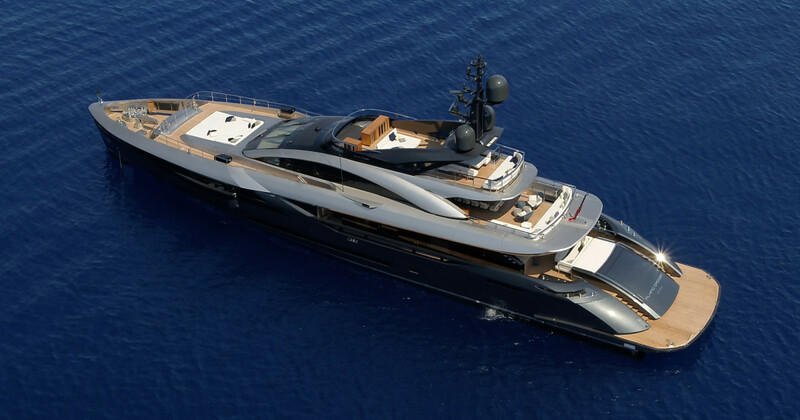 Rossinavi’s 161-foot (49-meter) Flying Dagger is sporty and fast with exterior design by Team for Design/Enrico Gobbi. 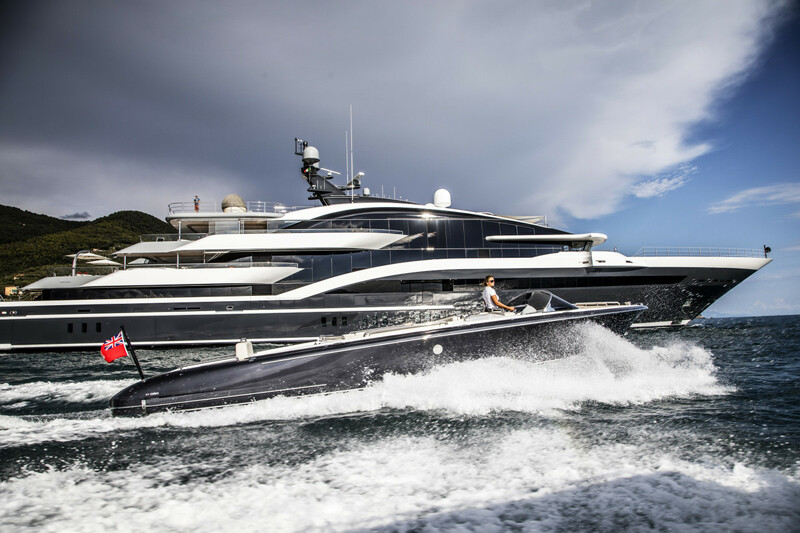 With her water-jet propulsion, she reaches a top speed of 31 knots and has a cruising speed of 24 knots. 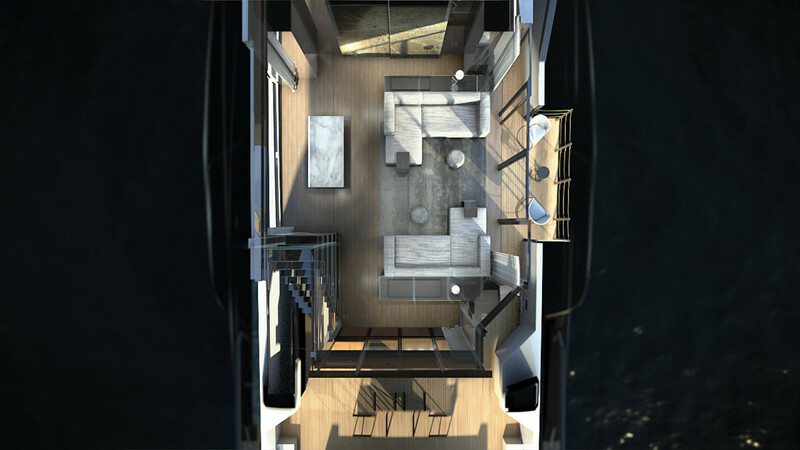 CBI Navi’s new long-range explorer was built for a multigenerational family with amenities for all ages. 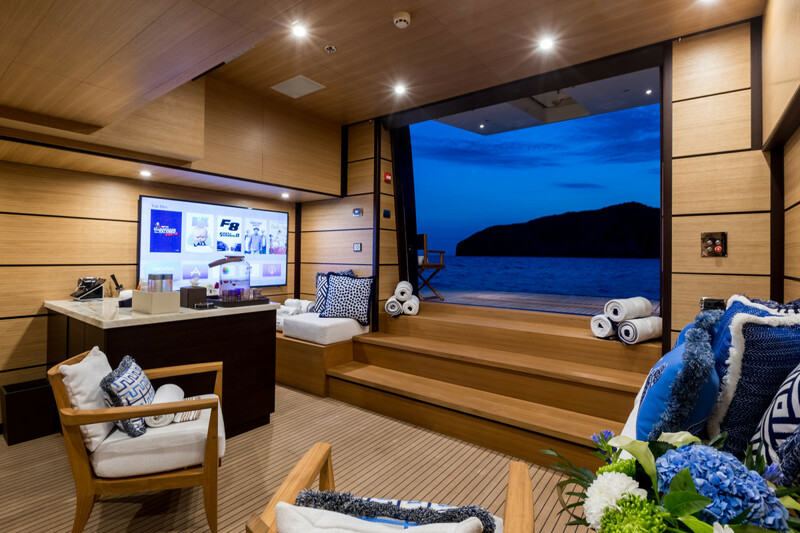 The youngsters have an area with comic and cartoon designs, and the grandfather gets a wine cellar that can hold 800 bottles. 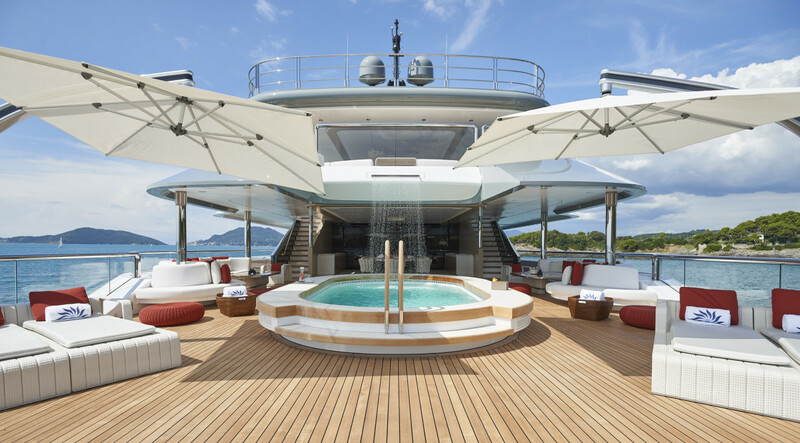 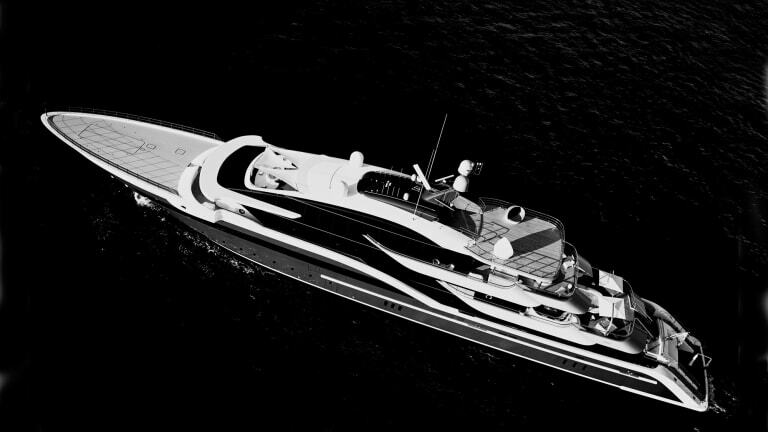 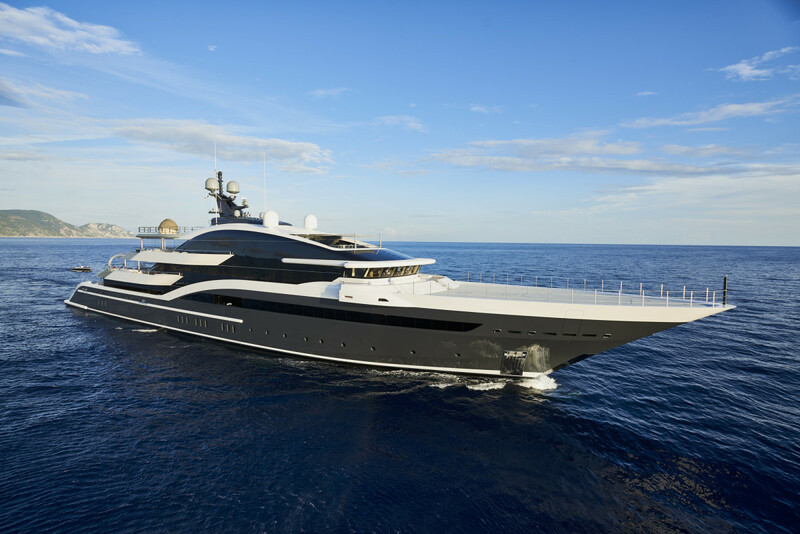 The exterior design on this 128-footer (39-meter) is by Sergio Cutolo of HydroTec. 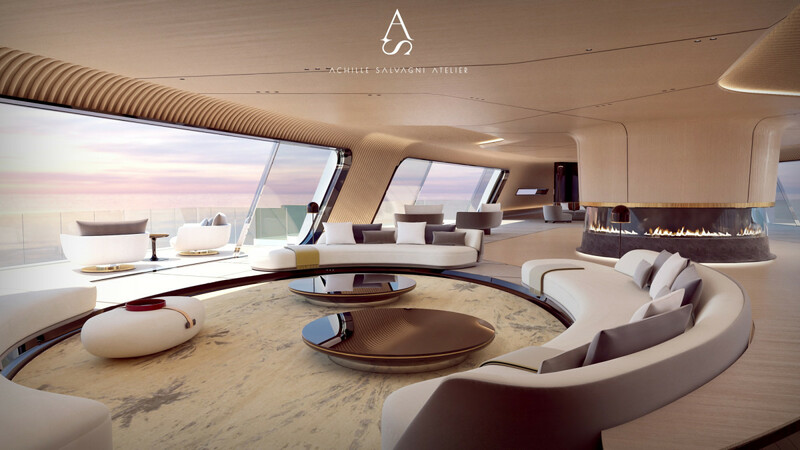 Interior design is by Fossati Design Bureau. 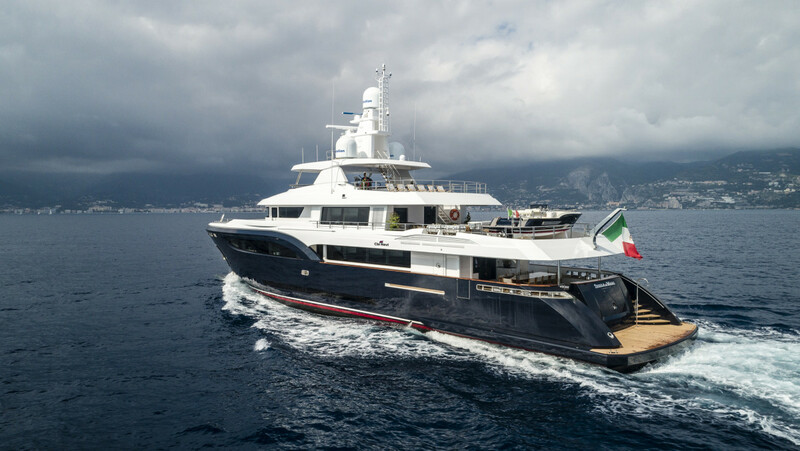 Built and designed for experienced owners, the 128-foot (39-meter) aluminum-hulled Vijonara is the second yacht in Andre Hoek’s Truly Classic 128 series. 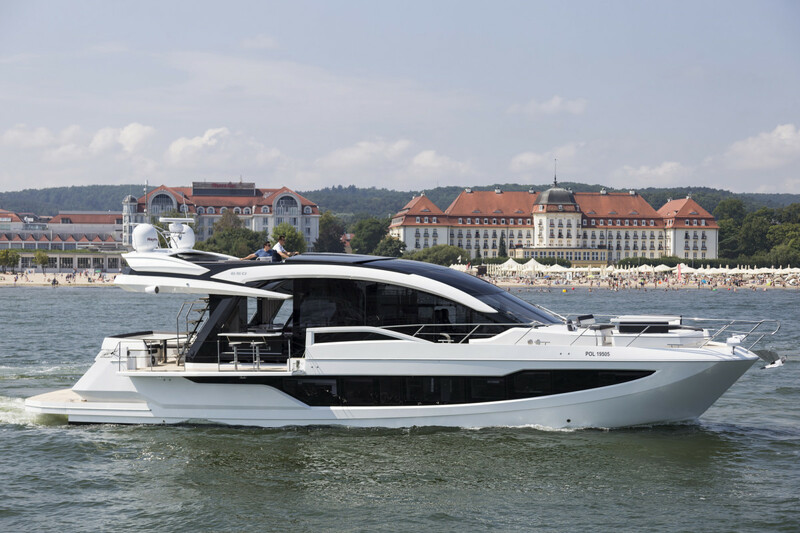 The Galeon 650 Skydeck is an innovative yacht in terms of space, volume and functionality. 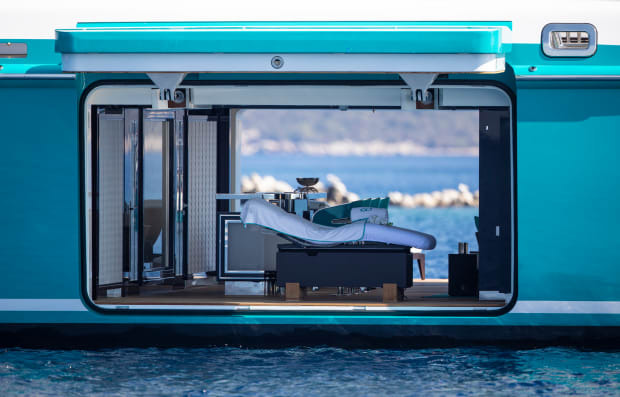 The cockpit has an electric shade for dining with protection from the elements. 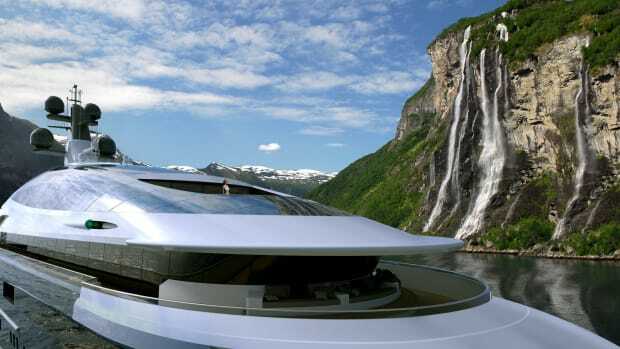 It also has a hydraulic swim platform, which extends with 20-foot (6-meter) balconies on each side. 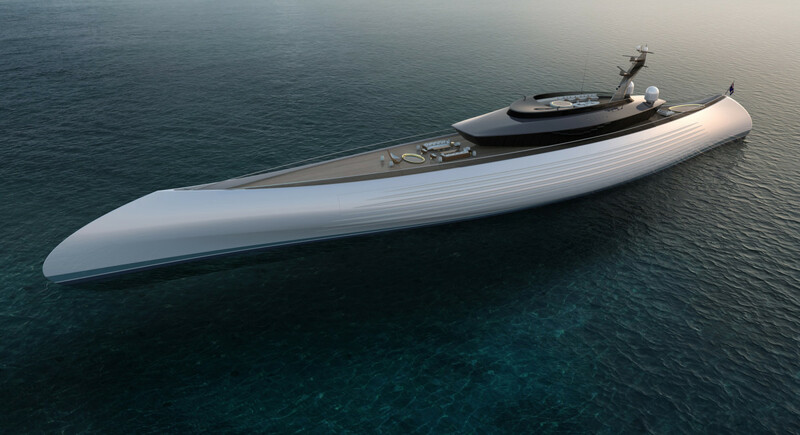 Oceanco went way out on a limb with Tuhura, which is a fully engineered and buildable concept. 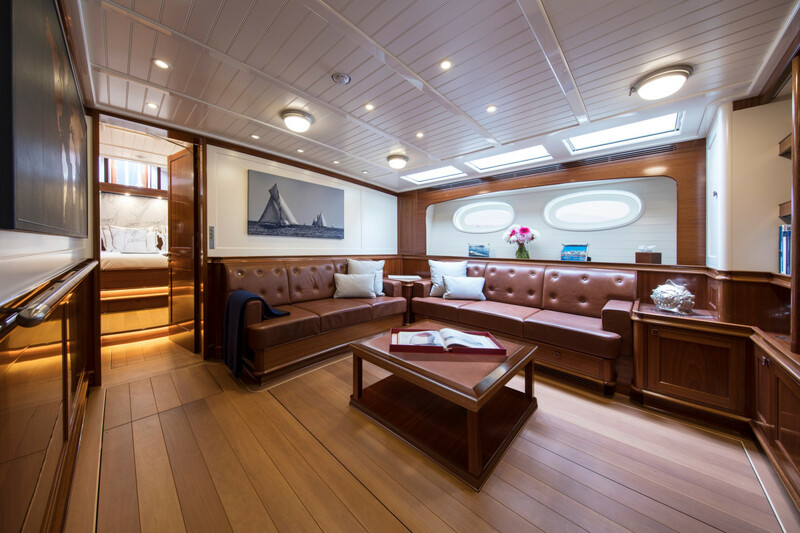 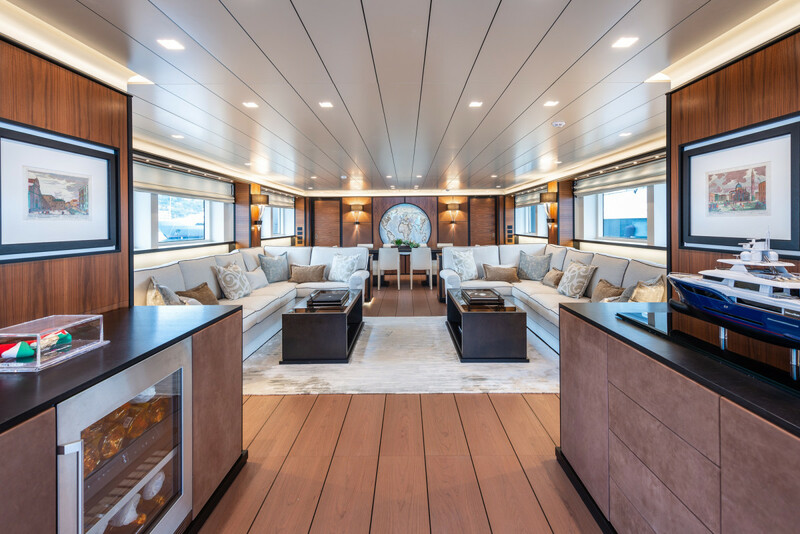 Conceived with Lobanov Design for exterior styling, Achille Salvagni for interior design, and Lateral Naval Architects for engineering, Tuhura is reminiscent of early indigenous canoes from around the world. 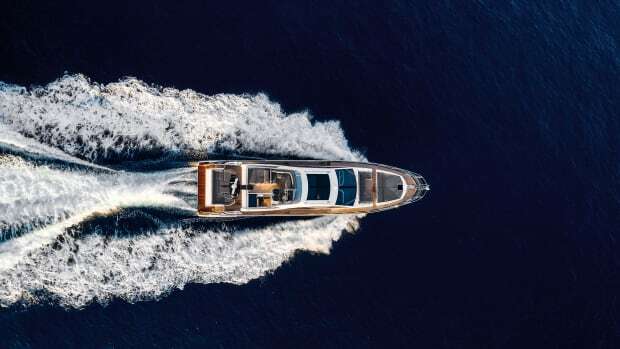 According to Lateral, the simplicity of the canoe form leads to a naturally efficient hull with low resistance, good seakeeping and excellent maneuverability. 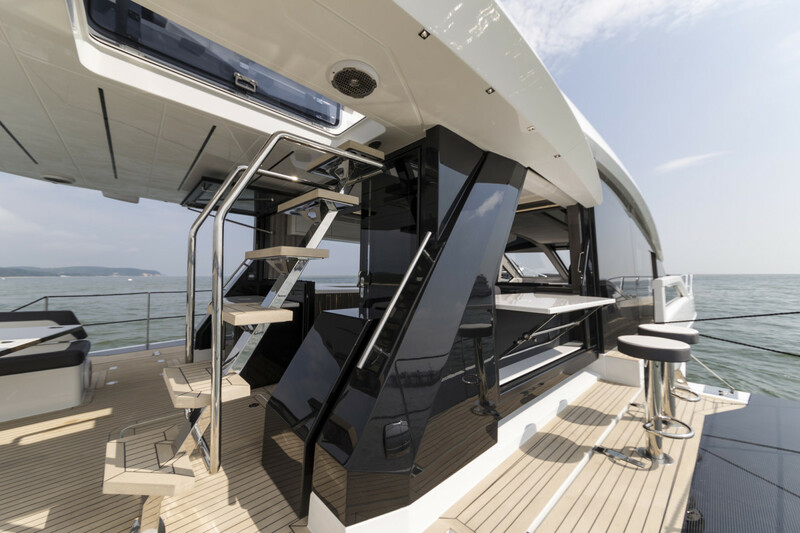 Dar’s curved main superstructure is a black, organic form that reminded Luiz DeBasto of a shark shape, so he designed the yacht’s mast like a fin. 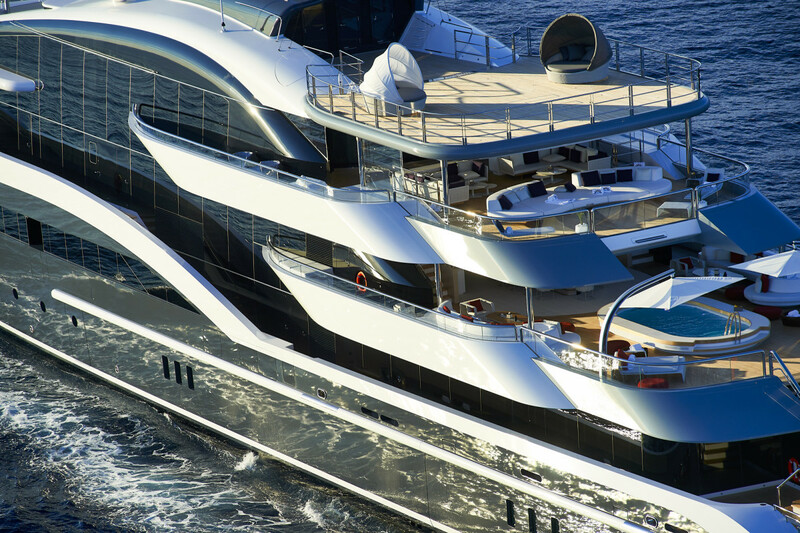 DeBasto also wanted to achieve clean sightlines along the hull of the 295-foot (90-meter) yacht. 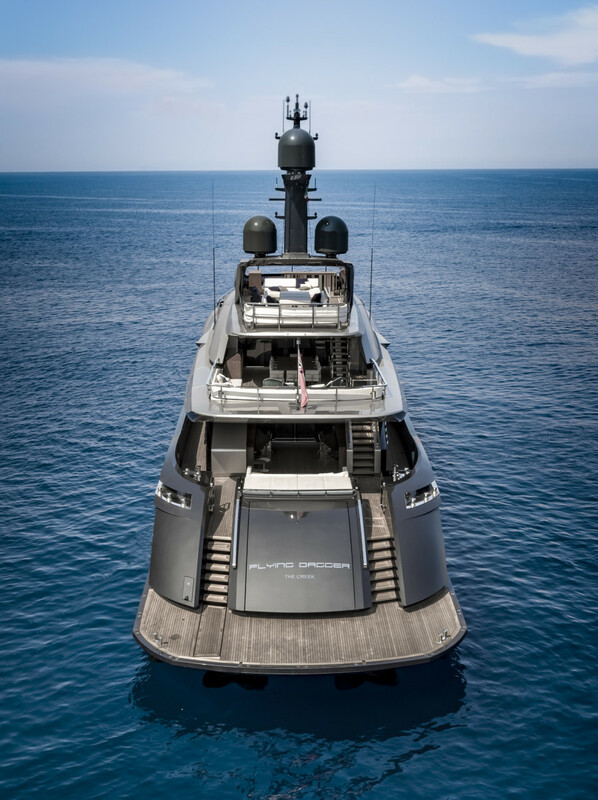 During construction, the vessel was known as Project Shark, with her wing stations adding to the hammerhead theme. 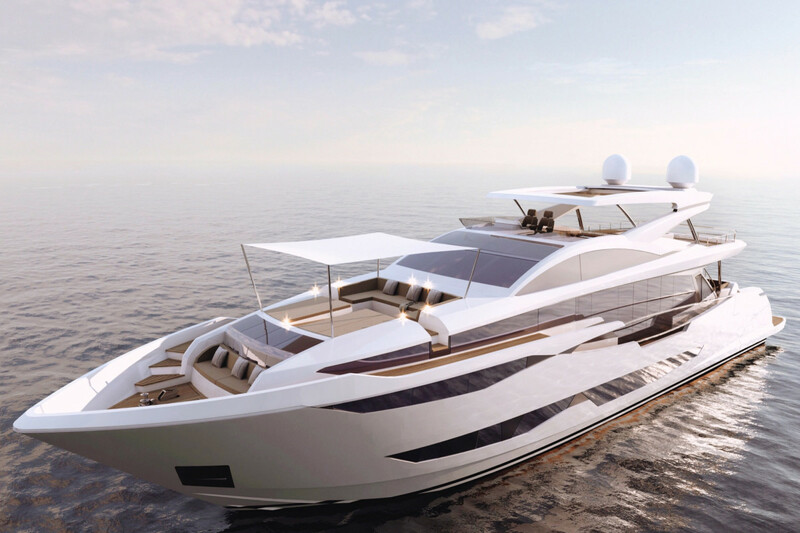 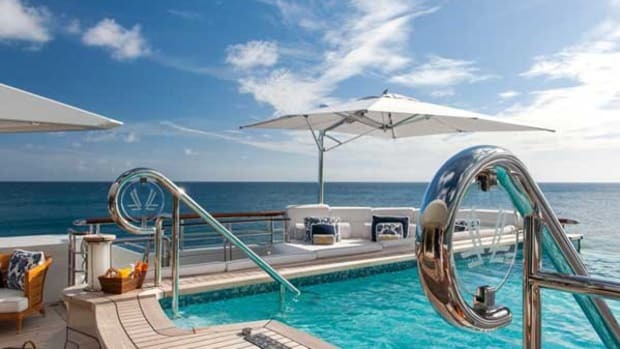 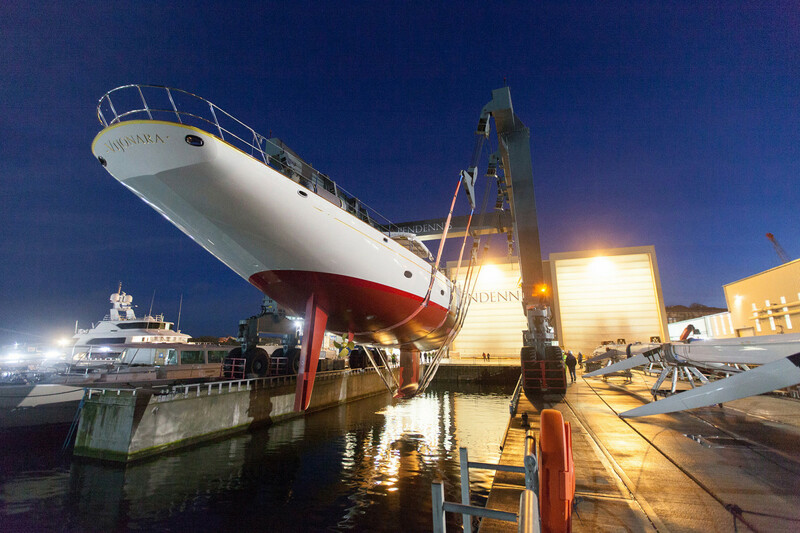 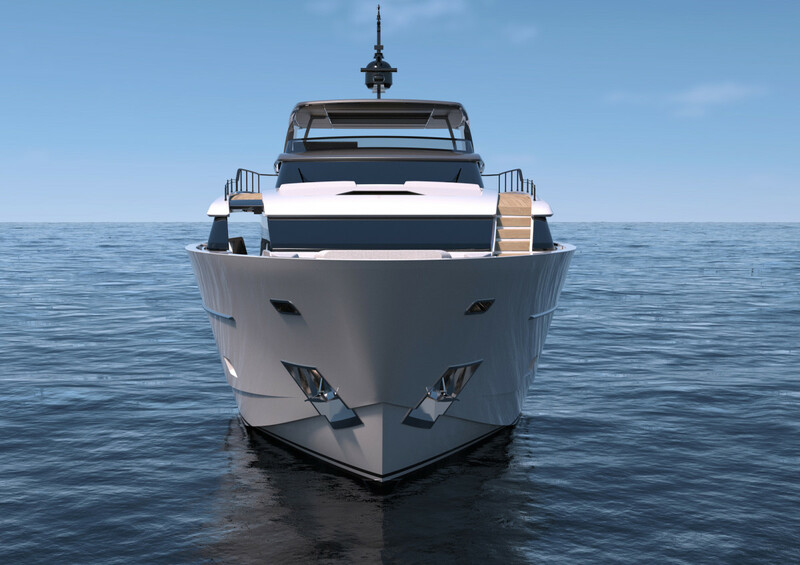 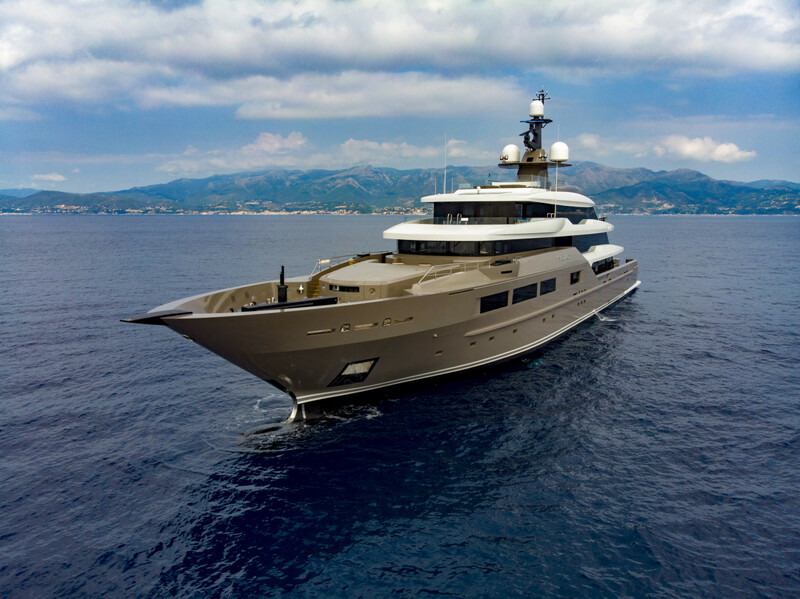 The first asymmetrical 102-footer (31.1-meter) from Sanlorenzo, the SL102 was created in collaboration with American designer Chris Bangle (formerly of BMW) and developed with Zuccon International Project.